For their Zermatt engagement shoot, Christine and Rolando travelled all the way from Texas, just a little detour from their winter holiday but a wonderful way to mark the occasion. Zermatt has so much traditional Swiss charm that it makes it hard to choose just a few locations for photographs. The old village is full of tumbling wooden chalets and cobbled streets, while the river banks open up to some unexpected views of the famous Matterhorn peak. 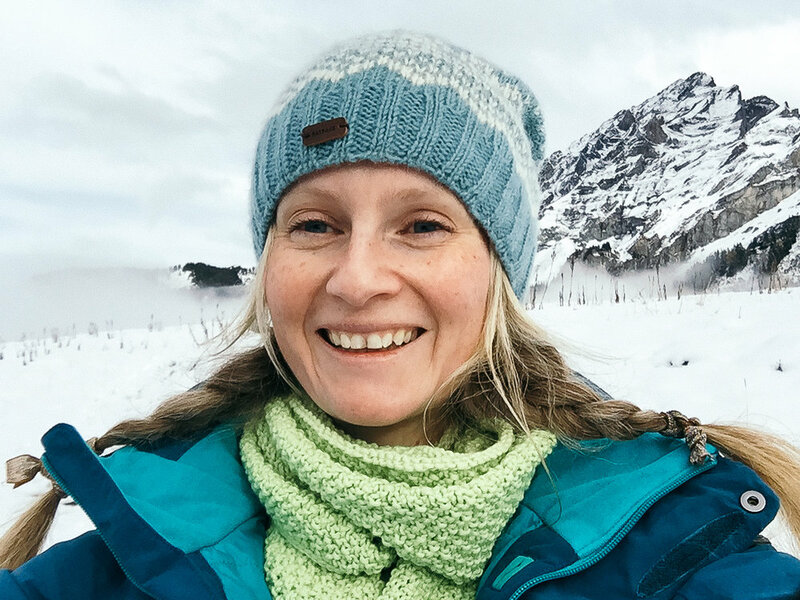 I met up with Christine and Rolando in a little cafe to chat about what they wanted from their shoot and how to make the most of their short stay in Zermatt. High up on the list was of course the iconic view of the Matterhorn and the snowy Swiss mountains. We also chatted about the advantages of starting somewhere a little more low-key and quiet as they were, like most couples I meet, a bit shy about being in front of the camera to begin with. All set for an afternoon adventure, I took them into the back streets of the old town to begin their photo shoot. Ready for anything, Christine made a miraculous change from hiking gear to a long blush tutu and Rolando looked dapper in his tuxedo. The old wooden buildings were a perfect place to quietly get used to the camera before we head up the funicular and into the snow. We found a couple of spots with excellent light for the close up and more intimate shots that wouldn’t be possible in the bright snowy light, and were able to capture some quiet moments between the couple. After a ride in the steep dark funicular, we exited to glorious blue skies and sunshine. It was one of those warm mid-season days where the heat on the mountain is surprising. I ended up shooting in a t-shirt, with every step in deep snow being a gamble with sinking in over my boots! We were blessed with stunning views of the Matterhorn and memories and photos that will be something quite special. 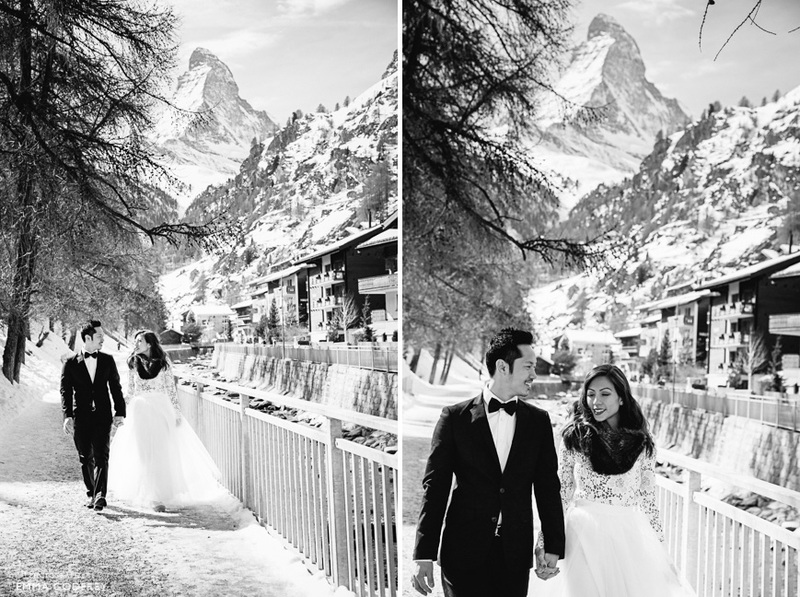 To book your Zermatt engagement or wedding shoot, please get in touch for more information.